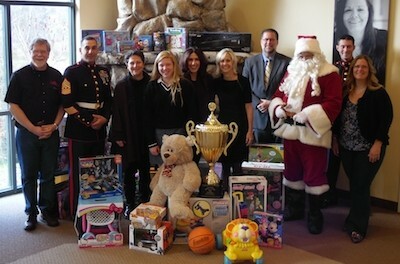 Left to right: Don Hall, The Chatterbox Drive-In; First Sergeant Christopher Piazza, United States Marine Corps; Project Self-Sufficiency Board of Directors President Beverly Gordon; Project Toys 4 Teens Coordinator Ruby Esposito; Season of Hope Toy Drive Co-Chairperson and Project Self-Sufficiency Board of Directors member Sue Murphy; Pass it Along Executive Director Diane Taylor; Newton School District Superintendent Dr. Ken Greene; Santa Claus (aka, Sussex County Freeholder George Graham); Gunnery Sergeant Matthew Hutcheson, United States Marine Corps; and Sandra Zaruba, Project Self-Sufficiency participant and Season of Hope toy shopper. Image courtesy of Project Self-Sufficiency. On any given day in the month of December, visitors to the Project Self-Sufficiency campus would have witnessed a variety of remarkable scenes – a military convoy filled with toys being unloaded by Marines and local veterans … a talented knitter delivering more than 100 hand-knit hats … employees from area businesses arriving in droves to volunteer … members of a local woman’s club dropping off hundreds of home-baked cookies … a church group unloading hundreds of wrapped gifts … a boat stuffed with toys pulling into the parking lot – all culminating in one thousand parents shopping and selecting toys for their children this past weekend! This is what the Season of Hope looks like. This is what it looks like to live in a community that cares. Season of Hope was made possible by so many generous and caring neighbors who contributed in a multitude of ways. This letter cannot begin to list them all, but I would like to acknowledge several. First, big thanks are due to the many organizations who partnered with Project Self-Sufficiency on the Season of Hope. 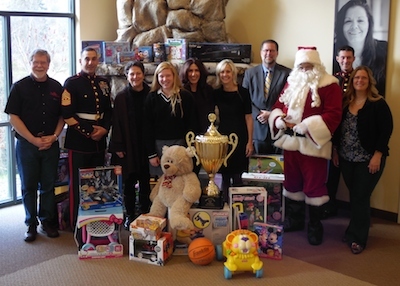 These include our Chairpersons, Sue and Greg Murphy, and Charm, the Chatterbox Drive-In, iHeartMedia, Intercar Mercedes Benz, the New Jersey Herald, Pass It Along, The Printing Center, Selective Insurance Company of America, Service Electric Broadband Cable, the Sussex County Chamber of Commerce, Sussex Honda and the United States Marine Corps Toys for Tots program. We also commend the 27 schools which participated in the Stuff the Stocking competition. This year’s champion was the Green Hills School, which collected over 400 toys! Tied for second place were the Merriam Avenue School and Newton High School, followed closely by Kittatinny Regional High School and Reverend Brown Memorial School in a tie for third place. 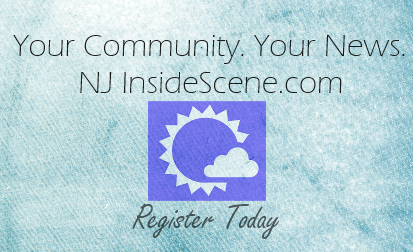 It should be noted that several schools this year collected over 100 toys and should be celebrated as well: Frankford Elementary School, the Sandyston-Walpack School, Montague Elementary School, the Marion E. McKeown School and Hilltop Country Day School. Hilltop is actually celebrating its 20th year of collecting toys for Project Self-Sufficiency! We thank Girl Scout Ruby Esposito for dedicating her Gold Award Project to collecting much-needed gifts for teens and older children through her “Project Toys 4 Teens” initiative. This was incredibly important, as nearly 600 teens were served by the Season of Hope Toy Shop this year. Thank you to ALL of the caring individuals, schools, businesses, scouting troops, civic organizations, and churches who contributed new, unwrapped toys and gifts or who donated money for the purchase of gifts for Season of Hope. Thank you to the many, many volunteers who donated their time and energy to make the Toy Shop run smoothly, to the musicians who shared their talents to entertain our guests, and to the members of the Newton Police Department who ensured the safety of all of our visitors. Season of Hope was about all members of our community, from children to senior citizens, coming together in the spirit of compassion to brighten the holidays for their neighbors. Because of the collective generosity of so many in our community, Season of Hope this year collected a remarkable 20,000 toys and distributed them to over 2,100 children in need. In a time of so much strife in the world, it is wonderful to be reminded that endless kindness, goodness and hope exist right here in our own backyard. There truly are no words. Thank you.